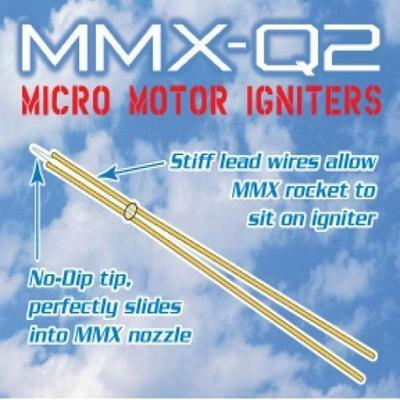 Quest Micro Maxx Model Rocket Motors with Q2 Igniters (6 Pack). 6mm in diameter. 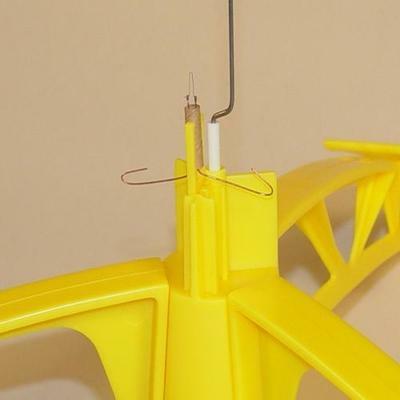 Fits inside T-MM size tube. 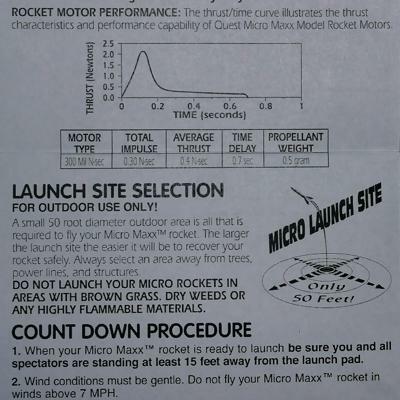 Six pack of the revolutionary MICRO MAXX model rocket engines. These little powerhouses are designed for backyard flying. Unique in their micro size, MICRO MAXX engines have big power in a micro size! 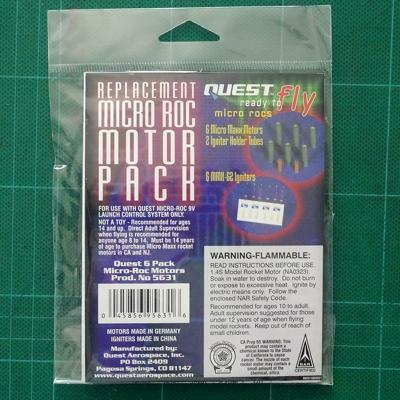 They are the equivalent of 1/8 A in power and are powerful enough to propel a 4 gram micro rocket to 75 feet high! They have a three quarter second burn time followed by a half second delay, then ejection. 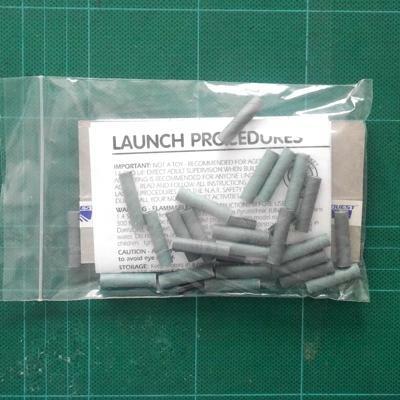 This package includes six MICRO MAXX model rocket engines, six MMX-Q2 igniters and two igniter holders. 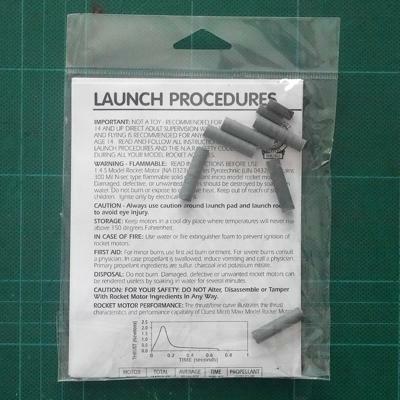 These Micro engines and igniters are designed to be used with the Quest Complete MICRO MAXX Launch System. Currently limited availability on the 6 Packs, we do have good numbers of the 24 Packs currently in stock.